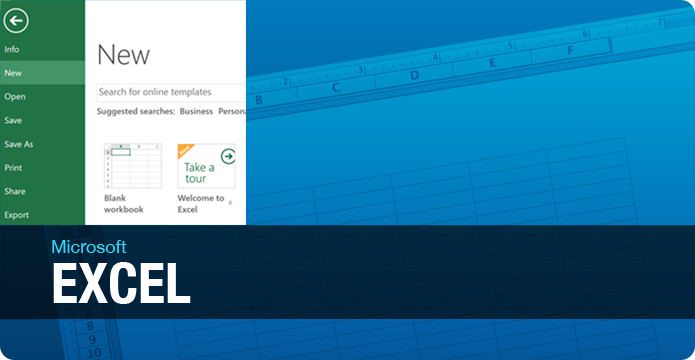 Fact: Did you know that 60% of the Excel 2013 templates that come within Microsoft Excel were done by our company. Yes, several of our Microsoft Excel MVP’s worked on our organization’s project for Microsoft. Some project! And boy do we know how to make Microsoft Excel templates. 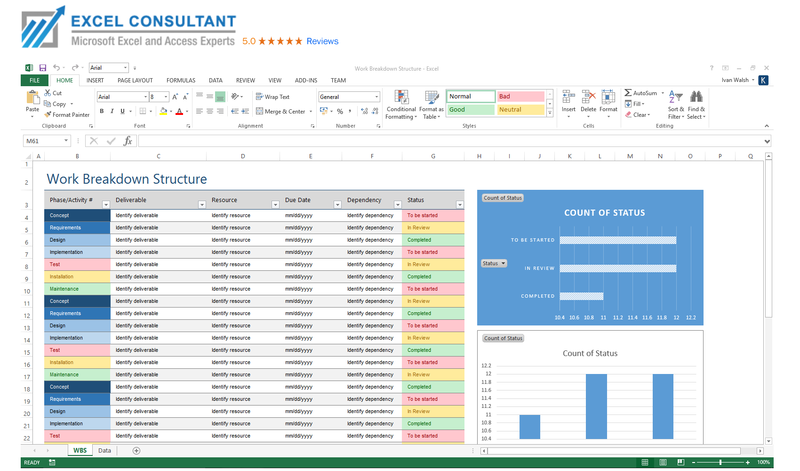 Using Excel templates is one way how businesses become more productive using Microsoft Excel. When you use an Excel template the file is already setup, all you need to do is to add your data! See the ones we are working on for Excel 2019. 5 Key Uses of Excel in the Work Place – Below is a list of five of the more common uses of Microsoft Excel that allows business to become more productive using Microsoft Excel and there are one or more free Microsoft Excel templates to assist you with each of these. If you are not using Microsoft Excel in your organization, chances are that you are most working harder than you need to. 85% of businesses that use Microsoft Excel could benefit from learning exactly how businesses become more productive using Microsoft Excel. That is one of the more common things businesses, government agencies and educational institutions hire us to do for them. The benefits are huge, the ROI meaningful. Microsoft Excel is the spreadsheet of choice that most successful businesses use, for a wide variety of purposes. Some organizations use Microsoft Excel for budgeting, forecasting and financial reporting. Others use Microsoft Excel to set up pricing for products, or sales tracking. The point is this, if you’re not using Microsoft Excel efficiently, you’re not being productive in business. Do you want to learn how businesses become more productive using Microsoft Excel? If so, you came to the right place. Read on to learn ways you can use Excel to be more productive in business. 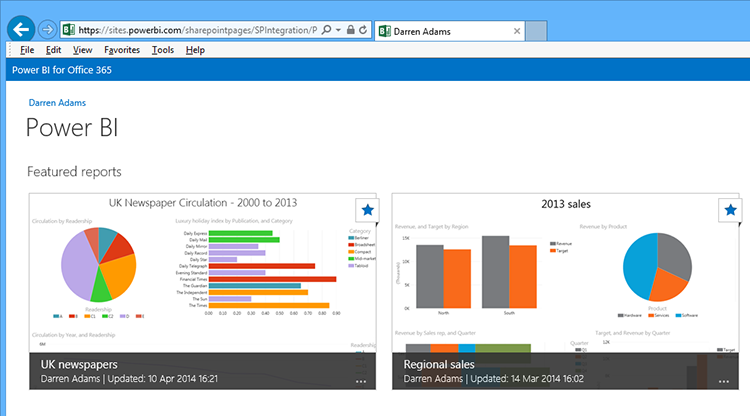 Microsoft Power BI is how the most efficient businesses work in Microsoft Excel. Labor scheduling can be complicated, but using one of the free Microsoft Excel scheduling templates will allow you to get the work done in short order. I am sure you would agree that between having to manage the ever-changing scheduling needs of your employees and keeping up with the constant demands of your business, scheduling can be a hassle and real time sink even for the most organized organization. An easy to use solution is to simply do your labor scheduling in an Excel workbook. This allows you to have a visual representation of the schedule and you can easily manipulate the data and with the click of a mouse, email the labor schedule to each of your employees. This method is fast, easy and simple. This is how businesses become more productive using Microsoft Excel. Haven’t you heard – big data is in. Companies want data on their consumers and want to know the status of their business metrics. For those that know how to process and interpret the data, rest assured you will be paid handsomely for your knowledge! Often times businesses use Microsoft Excel to sort through big data. Microsoft Excel is an excellent tool to use to stay organized when processing data because they have a really innovative feature called a pivot table. A pivot table allows you to organize raw data and sort them into easy to understand tables by rearranging the categories. This feature allows you to save time and make decisions quicker. Sales is the life blood of any business and organizing your prospects is crucial to the success of any salesmen. You guessed it, Microsoft Excel is an excellent too to use to organize your prospects. Here’s a bonus, salesman can use excel as a full CRM platform too. While accounting can be extremely complex, using a free Microsoft Excel accounting template makes it a snap. These templates are worth their weight in gold because to the skilled Excel user these workbooks allow a business to quickly become more productive using Microsoft Excel. That is why organizations use Microsoft Excel in the first place. These tools provide you with easy to use accounting solutions. We understand that reading about how businesses become more productive using Microsoft Excel is not exactly the same as making your business more productive using Microsoft Excel. But do’t worry mate. We are the Microsoft Excel experts, when intricately know that Excel is the perfect desktop productivity tool for any business. If you want to unlock its true powers, but you don;t want to do the work, you need to talk to the experts. When it comes to making your organization efficient in Microsoft Excel, hire the Microsoft Excel programming experts. Posted on October 4, 2017 Posted in Blog Category and tagged Accounting, Spreadsheet, Learn, Data, Pivot table.